If you would like to discover more about Gildredge House then please get in touch. Enquiries should be addressed to the Director of Finance and Administration, Mrs J Logan, in the first instance. 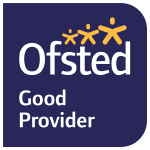 The Academy Trust is a Company incorporated in England and Wales, limited by guarantee with registered Company number 8436285. Address and Registered Office: Compton Place Road, Eastbourne, East Sussex, BN20 8AB. Phone: 01323 400650. Find out more information about our application process and apply for a school place. Subscribe to our email newsletter and be the first to know about the latest developments, news and events.